How do you find new apps? Here at the Next Web, we’ve tried quite a few options, and Kinetik is one of our favorites. As we reported in September, Kinetik is an iPhone app that lets you find and share apps. And it just got even better with the update it released today. For starters, you don’t need a Twitter account to sign up, which makes the app much more open. According to the startup, most users won’t need to log in, unless they want to share their favorite apps through Twitter or Facebook. Other additional features have been introduced, such as the option to create lists. Besides creating their own lists, users can also see which apps are trending, based on the number of times they were shared on that day. For example, today’s winner is Oink. While this is not too surprising, knowing the app snagged 100k users in the 3 weeks since its launch, this list could help apps like Oink go even more viral. It also works for lesser-known apps such as the gesture-driven music app Audium (see our previous post). According to Kinetik, leading app review sites picked it up after it started trending on Kinetik, and a couple of days later Apple featured it as New & Noteworthy. What we didn’t mention at the time we reviewed the app is that Kinetik is a Latin American startup – and proudly so. Its CEO Raul Moreno is Ecuadorian, but has been living in Argentina for the past four years. It’s also in Argentina that the team is based, more precisely in the seaside city of Mar del Plata. It’s also interesting to note this is not a default choice. Before deciding to base its operations in Argentina, Kinetik participated in Startup Bootcamp‘s acceleration program in Denmark (see our previous post). One of the Bootcamp’s mentors, the CEO of Podio Thomas Madsen-Mygdal became an angel investor in Kinetik. He encouraged the team to spend some time in Silicon Valley to network, which they did, before moving back to Argentina. Kinetik is not the only tech company in Mar del Plata; for instance, MailChimp’s competitor Doppler is also based there. Still, the team is considering moving to Buenos Aires, where the startup ecosystem has become more and more dynamic. Moreno still travels to the US when needed. When I contacted him, he was in San Francisco for meetings with VCs and another of Kinetik’s angels, Unity Technologies‘ CEO David Helgason; Kinetik plans to close a financing round early next year. According to Moreno, the team is quite happy to be based in Argentina. Not only can they operate from this country without major obstacles, but they can also set an example to inspire wannabe entrepreneurs in the region. One of his ambitions is to show it’s possible to create and operate a global startup in Latin America, he said. 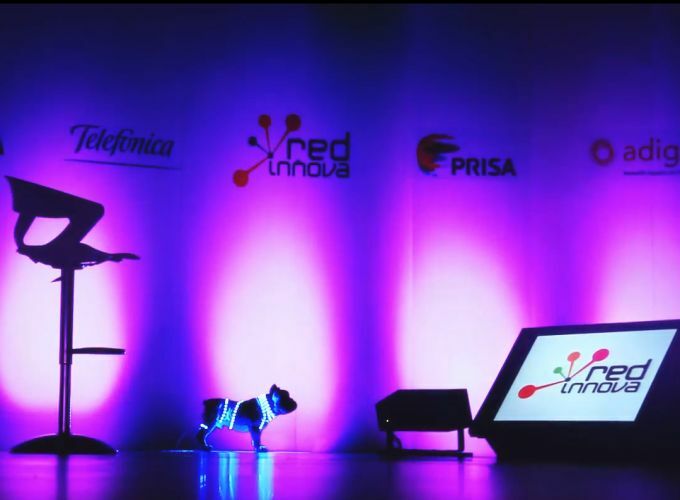 It looks like things are going in the right direction for Moreno to achieve his goal: as we reported a couple days ago, the startup was one the twenty Ibero-American companies shortlisted to participate in Red Innova’s Startup Competition, which will take place during Red Innova’s conference in Sao Paulo at the end of the month. Did you know Kinetik was Latin American? Let us know in the comments.